Bovada Sports and Casino will be available in Mexico only while Bodog Poker, Casino, and Sports will launch in the following countries: Argentina, Bolivia, Brazil, Chile, Columbia [sic], Costa Rica, Ecuador, El Salvador, Guatemala, Honduras, Mexico, Nicaragua, Paraguay, Peru and Venezuela. This is big news for Bovada and Bodog as both brands will now be enjoying a greater pool of players from Latin America whose poker and gaming community is definitely growing. Bovada, however, does not offer poker in its platform as it sold its poker business to Ignition Casino, which is owned by Linton Ltd., in August 2016. Ignition Casino, which has an American and Mexican player base, shares player pools with Bodog. Prior to the announcement, Bodog Poker has been catering to only 2 countries, namely, Canada and China. Therefore, Bodog’s expansion to Latin America, which adds 15 countries, can only boost the amount of traffic as well as poker action for its brand and Ignition’s. This will be particularly advantageous to the micro and low stake players. Bodog has been following a “Recreational Player Model” wherein the platform incorporates a friendlier atmosphere for the casual player to learn and enjoy the game without fear of being “farmed” via HUD programs that track a player’s statistics and game behavior. And as poker is booming in Latin America since mid-2015, an expansion to this part of the world can only bode well for the brand and its player network. 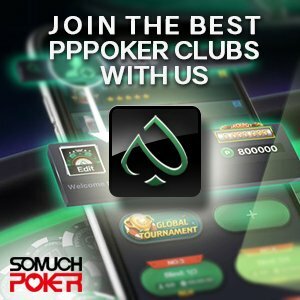 As it is, Ignition Casino has been ranked by Pokerscout as the 6th largest online poker network in the industry today with an average of 1,150 players in a week, an average close to that of PartyPoker.